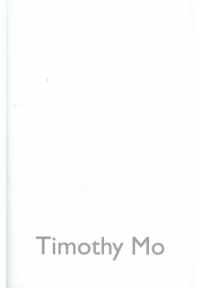 It is over 10 years since Timothy Mo’s last novel, but Pure has been worth the wait. Mo has written an effervescent novel overflowing with verbal ticks and tricks, addressing some serious topics in a most unusual way. The book is set in southern Thailand, where a small but vigourous Islamic insurgency, vaguely linked with global backers, dreams of a South Asian caliphate and embarks on a campaign of terrorism. In an effort to infiltrate one of the Islamic cells, the police recruit a most unlikely double agent, Snooky – a Thai ladyboy of Islamic origin working as a film critic in the city. Against all expectations, Snooky proves to be a very effective terrorist and a somewhat less effective informant for the authorities. Pure is told mainly in the first person, with several key voices alternating their stories. Snooky is the most important and most entertaining, displaying all of the characteristic traits of the unreliable narrator. Beginning with vivid descriptions of the life of a ladyboy, moving through police brutality to life as part of an Islamic cell in the jungle, Snooky observes all that is happening and increasingly participates, maintaining a constant commentary on events and the people she meets. She has a tendency to refer to herself in the third person, and peppers her narration with cultural, and in particular cinematic, references. Snooky is highly intelligent, a trait which she continually underplays and uses to her advantage. The second main narrator is Victor, a Church of England clergyman in a high academic position in an Oxford college, who for many years has acted as a recruiter for the security services. Because of his connections with the Far East, Victor becomes involved in an electronic correspondence with Snooky the double agent, and eventually visits Thailand to make contact with her. Much of the novel is concerned with the clash between fundamentalist Islam and Western (and Eastern) democratic values. All battle for control of Snooky’s heart and mind, while she deteriorates physically and metamorphoses mentally. Pure contains serious philosophical discussion, historical review, theological musings, fantastic pen portraits and sketches of minor characters, surreal interludes, and above all a torrent of words, puns and verbal pyrotechnics. It is at times a challenging read, and perhaps fades a little in the latter third, but it is certainly one of the most interesting and innovative books I have read this year. There is a danger that Pure may pass most readers by, which would be shame. Mo fell out with mainstream publishers in the 1990’s and his last couple of novels have been published independently. Pure is published by Turnaround Books, but lacks the benefits which come from a major publicity machine and promotion behind it. It is a book which deserves to do very well in the literary prizes. If this does happen, it will hopefully attract more attention. However, in the meantime it is well worth seeking out.